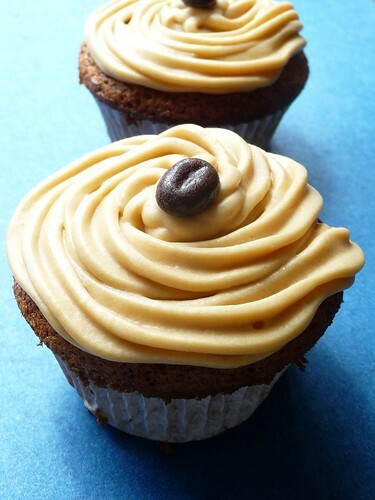 5 coffee cupcakes and a recipe link to wish you a Happy National Coffee Day! Happy National Coffee Day! I've been drinking coffee for about a year and can safely say that I'm now addicted to the taste and feel and, yes, caffeine. It's gotten to the point that until I've had my first cup in the morning I'm not really all there (sometimes, I'll admit, it's more like until I've had my second cup). What about you? 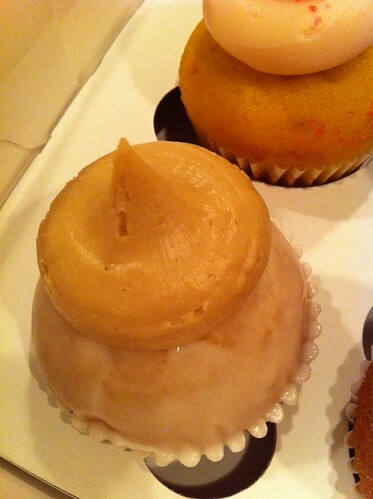 Do you like coffee cupcakes or would you prefer to enjoy a cup of coffee alongside a cupcake? Long before I started drinking coffee, I enjoyed the flavor of coffee ice cream, and to me that is what a coffee frosting should try to approximate, a sweet but strong flavor. 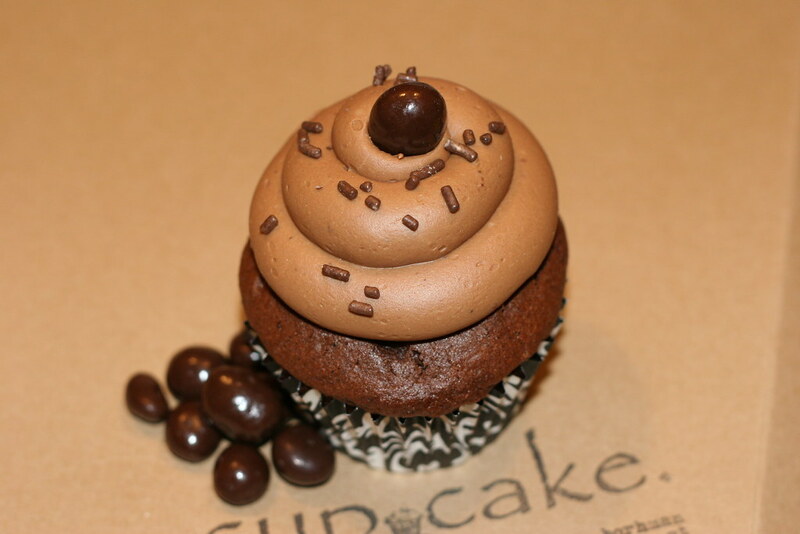 But there are all sorts of ways to incorporate coffee into a cupcake, from the cake to the frosting to adding beans on top and much more. 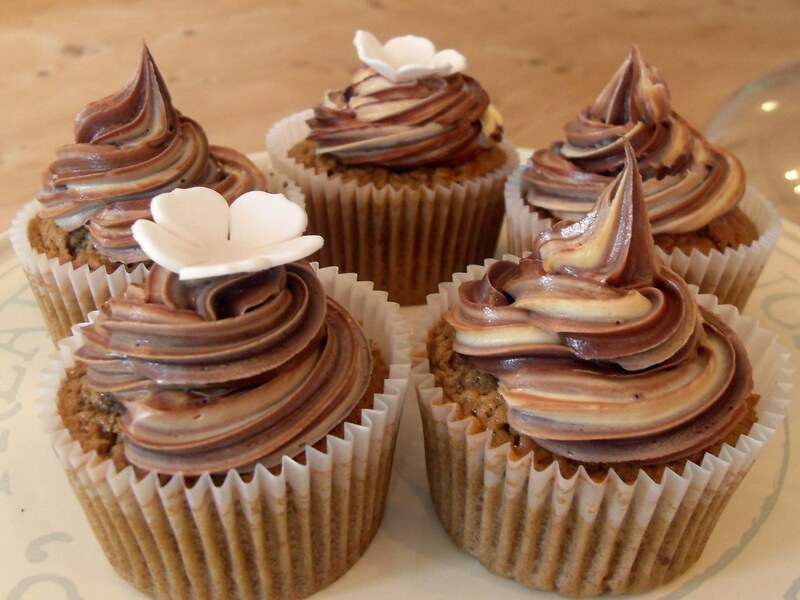 In the spirit of coffee-loving as well as appreciating the spirit of food holidays, here are 5 coffee cupcakes as a way to celebrate. Coffee and donut cupcake (the frosting is a very strong, delicious coffee flavor) I recently tried by Retro Bakery in Las Vegas, Nevada - and yes, I know my photograph perhaps doesn't do it justice, but trust me, it was good, and if you're ever at Retro I would definitely try this one. The coffee frosting and glaze on the cake balance each other out very well. 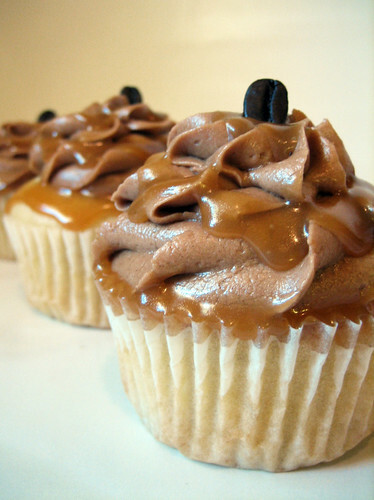 Coffee cupcake by blogger dulcis in fundo, where you can get the recipe!